Leather makes a lot of sense as a material for cycling shoes. It’s wind-resistant but breathable, sturdy if thick or reinforced, and moulds well when closely fitted. It’s only real disadvantage is its weight and – when compared to synthetics – its cost. But interestingly, aesthetics is also a big factor. If you look through a conventional range of mountain-bike or road shoes, you will see little touches of leather (or imitation leather) on most of them. The construction is normally a mix of plastic, mesh and rubber (or carbon) composites. But there will be strips of what looks like leather, because it’s attractive. While Quoc Pham will expound the practical benefits of leather, it is for aesthetic reasons that he first made his ‘Fixed’ cycling shoes. “To recapture some of the romance of the classic cyclists, the elegance and the beauty of them and how they looked,” as he puts it. The Fixed style (above) isn’t really a cycling shoe in the sense that I’ve used it above. It doesn’t affix to the pedal; it doesn’t have a cleat. It is a light, streamlined shoe designed to be worn with plain pedals or toe straps. The sole is reinforced to improve the transfer of power to pedal, but there’s some flexibility to make them easy to walk in. The Tourer is new, coming out this March. Again leather throughout, but a replacement for the mountain-bike shoe, with cleat. It looks rather clunky compared to the sleek Fixer, but trust me it’s a lot more attractive than normal mountain-bike shoes. Quoc was brought up in the UK and studied at St Martin’s, but now lives in Taiwan where his shoes are made. Impressively, given the cost of the Fixed, they are all lasted by hand. He is proud of the fact that his shoes are made in a factory that otherwise makes Goodyear-welted dress shoes – not sports shoes. “The problem with sports shoe manufacturers is they don’t appreciate leather, or any quality materials for that matter,” says Quoc. “Because they’re not used to making precise lasts, it’s hard to get a close fit.” Quoc showed me a prototype for a new cycling shoe that is Goodyear-welted, with a cream rubber sole. There’s also an ankle-boot version of the Tourer. There’s another connection between dress shoes and Quoc’s cycling shoes as well – the lacing. Have a look at the diagrams on his site. The laces skip a crossover and then tuck through themselves, in order to spread the pressure over a wider area of the foot. And then they are finished off with what some would call a Berluti knot, other’s – that prefer their history – a surgeon’s knot. Because you don’t want laces coming undone when you’re hurtling along. You can follow the discussion on Leather cycling shoes at Quoc Pham by entering your email address in the box below. You will then receive an email every time a new comment is added. These will also contain a link to a page where you can stop the alerts, and remove all of your related data from the site. Awesome!!!! I just love these shoes especially the Fixed style. Reminds me of my first pair of cleats when I was riding track. I don’t ride much any more anymore but I think I might have to get a pair for the weekend. You mention in your article that the soles do have some flexibility which makes them easy to walk in. Have you actually tried them and if so how comfortable are they to walk in? Nice shoes. But I would rather use an English or European maker whose shoes are made in our own countries. I have, but only briefly, I can’t provide a recommendation based on extended wear. I found them very comfortable to walk in for time. Maybe it’s me, but I feel like these crossovers miss the point of the original product. Case in point, the Specialized Stumpy II. 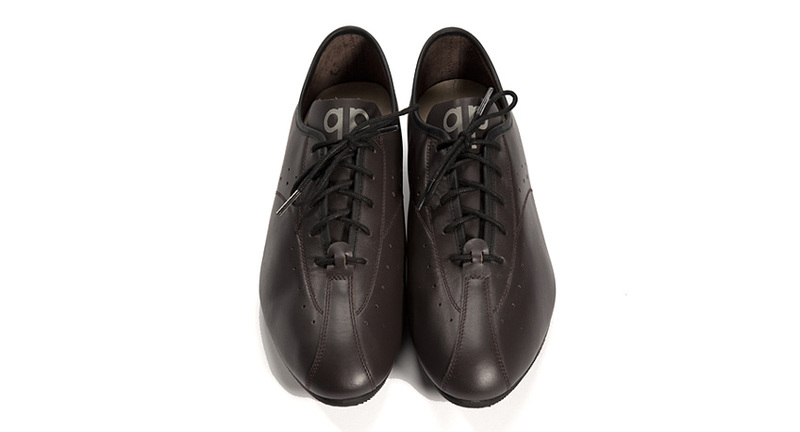 [http://www.bike24.com/images/products/p0416894.jpg] They take the top of a road cycling shoe and slap a waffle on the bottom. I gave it a chance. I tried it on. I found myself shaking my head. Trying too hard when dressing usually results in catastrophe. If you actually ride a bike [and I mean it in a athletic endeavor sense] – these are useless. If you bum around the city – regular monks would suffice on flat pedals. Laces + moving chains scare me.